Just fat enough that I can barely squeeze into my scrubs, but not fat enough that people would say that I am pregnant. Lucky me. I am puking much less now, although I swear I caught the flu on the way home from Cabo on Sunday...I was so sick and throwing up non stop that I swore I was truly sick and not just pregnant. I am sick of the rain. Sick of the cold. Ready for summer. I spend a week in Cabo and truly appreciated and loved every minute of the summer weather. It just made me want summer more! We only get a few days A YEAR like the weather we had in Mexico. I am eating bagels & cream cheese, ritz crackers and top ramen almost every day. I am NOT eating Paleo, and I am NOT eating any vegetables. I am working full time still and hoping to pick up some Saturdays so that I can somehow figure out a way to pay for this little one on the way. Hey there! Its been awhile. 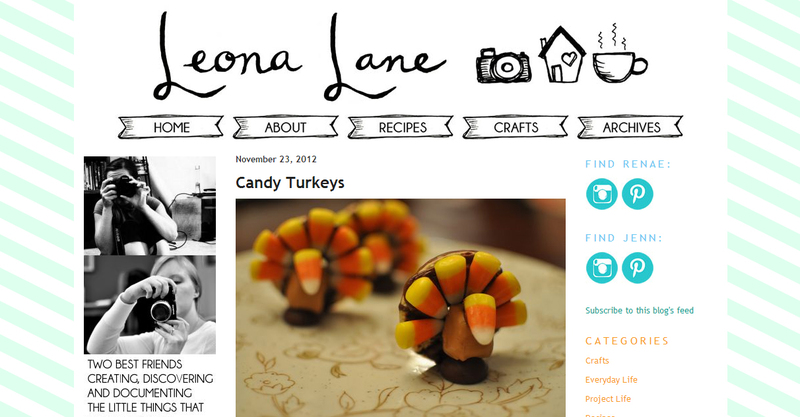 As you may have seen in my last post, I have been blogging over at Leona Lane a few days a week. If you use this link it will bring you right to my Paleo Pumpkin muffin recipe. When I started blogging with Renae and Sarah, I didn't have the intention of completely quitting this blog. I like this blog. I like to ramble, and say whatever, and title my blog entries silly things. Then on the day of Thanksgiving, I discovered that I can no longer put pictures on this blog!! Sad day! I have apparently uploaded more than 1 G and that's the free limit for blogger. Who knew? I could pay money...but since I'm starting a new blog I thought that wasn't a good idea. ANYWAY...I still may post here now and then. Mostly to ramble and talk nonsense. I am well aware that no one will read it, because even my few old readers probably aren't checking this anymore. I guess I can now saw WHATEVER I WANT!! So what I will say today is have a happy winter day!! Enjoy the cold outside and treasure the warmth in the house. Make a pot of coffee. Get that fire going in the fireplace. Listen to some cheesy music. Pet those cute kitties. Work on a fun project. That is what I will be doing today. Happy Saturday. Yes, its true! I have combined forces with my bestie and partner in crime Renae Kim. We have started a new blog together! Its much more fun to blog together. This has been a fun new adventure and we are still learning a lot about website design. Please feel free to give us some feedback because we will most likely be making changes in the next couple of months. I have been realizing lately that I have a few personal traditions that surround this wonderful holiday of Thanksgiving. These are of course exclusive to the obvious ones, such as consuming a ridiculous amount of Turkey and pumpkin pie. 1) I run a lot. The past three years I have run the Seattle half marathon right after Thanksgiving. So right before it I am training a ton! This year I am not running since I did a race a couple of weeks ago. But I am still trying to keep up my mileage. 2) I start to think about things that I'm thankful for. This time of year is great for that. In the past I've usually made lists and scrapbook pages and blog posts. Here is a post from 2009 that I particularly like. 3) I drink lots of Thanksgiving blend coffee! 4) I play more games than usual. This started in 2009 with poker and every year around this time I get excited about playing games. When I was a kid, we used to play scrabble after Thanksgiving dinner. 5) I love watching Thanksgiving Friends episodes. 6) I make place tags for the table. This is one of my favorite Thanksgiving traditions. Here is a blog post from 2011 where you can see those place tags. This year we are heading over to the East side for Thanksgiving! I am excited that I don't have to cook this year. I just get to eat! So its another lazy Sunday. Its November now and pretty much always raining and cold around Seattle. Here is another installment of "indoor" photos. They are pretty much the only photos I take lately because I haven't been out and about very much! I have been really consistent at buying fresh flowers for the house! They really do spruce up a room. I love my new pumpkin from Pottery Barn. I don't have anything creative to put in it yet, so I just have tiny pumpkins inside. This fall Sundays are all about cozy fires and football on TV. Matty made a beer chicken tonight! He followed a recipe he found online and I think it turned out really well! I will share the recipe soon. That's all for now! We have really been enjoying our new arrangement. It lets a bit more light in because the couch isn't covering half the window anymore.